For the purpose of our description and breakdown of Roatan, we are considering West End Roatan as the area that includes the communities of Sandy Bay, West Bay and West End. This is without doubt the most “touristy” area of the island, and therefore gets the most visits. This area is without doubt that has most development in all of the Bay Islands of Honduras. The West Bay Beach is an icon not only in Roatan, but in all of Central America. It is arguably the best beach in all of Central America. 20 years ago, there was absolutely no development in West Bay Beach. Today it is booming with the most outstanding resorts, boutique beach hotels and some of the more exclusive dive shops in the island. West End is an old community that includes the lovely Half Moon Bay as well as the area both to the north and south of this beautiful small bay. The Village is a tightly knit community that sometimes struggles with the changes that tourism has brought its way. However there are several local families who have taken advantage of the development and built their business around tourism. West Bay offers the charm of a beach side Caribbean village, with many small hotels, inns, lodges and hostels, as well as restaurants, bars and even a full scale nightclub. This community is undisputedly the heart of West End Roatan. Last, but not least, is Sandy Bay, an area that roughly connects the community of West End with Coxen Hole, the administrative center of the island. Sandy Bay lies on the North shore of the island. It includes a small community as well as coastline with some very nice boutique hotels and inns. Some great restaurants are also to be found there. The scene is more cultural and upscale than that of West End and West Bay. Here you will find the Roatan Museum, as well as the World Famous Anthony’s Key Resort. Anthony’s Cay is without doubt the most famous of all Roatan Dive Shops. 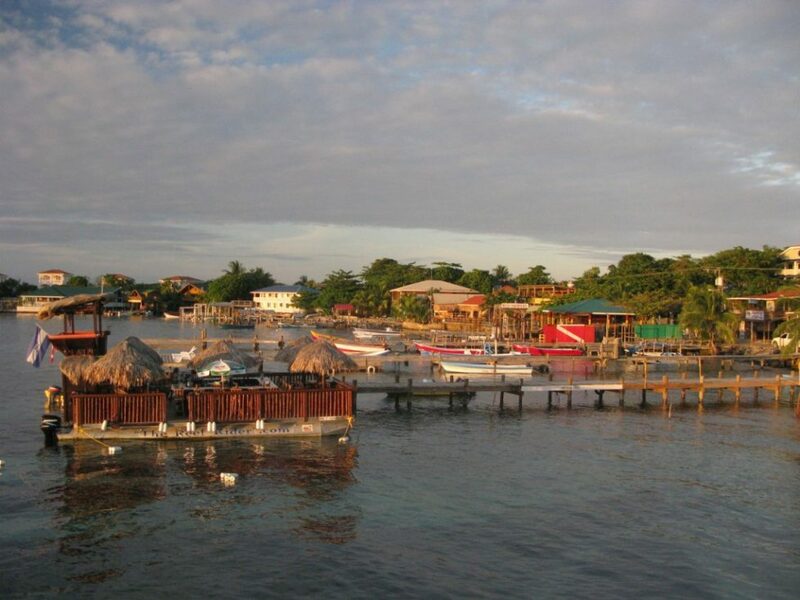 Together, these three communities form West End Roatan, and offer a lot to the tourist. Although relatively close to each other, none of the above communities are within walking distance of each other. Therefore, we are setting up a small section for each one.